iPhone 5 US Version and Making Any SIM Working is probably a dream to many non US residents particularly by the residents of very high GDP country like India. The thing started with the fact – a person within my first degree relative unknowingly purchased an iPhone 5 (with plan) using his in law’s (US resident) documents. The $100 tag was quite inviting to buy iPhone without knowing the basic fact – iPhone 5 US Version with data plan, voice plan etc. will never work in any other country. India is high GDP country and it is matter of fact – there are practically two distinct classes based on economy – first who can not have a meal once a day and the other group can buy almost anything with liquid cash. No credit card. Most Indians uses debit card. If you had no idea about India or used to get confused why India is a high GDP country and almost all bigger multinational brands rushes in India to sell things – this is the basic reason. There are many factors, like Indian banks gives higher interest, the average living cost is comparatively lower etc. Now another thing you will try to think, then why the unlocked version of iPhone 5 Indian version is not even closer to iPhone 5 US Version, it is almost 3 times costly. The reason is, the talk plan for mobile phones is very very cheap as probably every country’s mobile network provider either has direct service or partnership with some other company in India. So as you can guess, with a monthly plan of single digit in US dollar talk time plan, it is impossible to pay the rest of the premium to Apple by the mobile network companies even if the user remains a permanent client for 5 years. In other words, the price of iPhone 5 unlocked (that is sold via Apple Premium Resellers, Apple Store etc.) is the Real Retail Price of iPhone 5. In US, the cell phone carriers pays the rest (definitely they get the iPhone 5 at a cost less than the Real Retail Price but not actually at $100 from Apple.). As my basic requested work was to get that iPhone 5 working somehow, I had to digg the things out. I personally have a normal unlocked version brought from Apple Store. There is no legal problem as an Indian resident. You can consult a Lawyer if you want. As in my case, the iPhone 5 US Version became an iPod and the owner gave me to do anything with it, I got the liberty to think and proceed in the right way. By the way, even if you buy an iPhone 5 US version from India at that $100 (you probably can buy it, I Googled to check it at a glance), you will not get any warranty. This is not actually for ripping the customers, probably for some sort of control, as iPhone 5 ultimately a wireless communication device and there are specific complicated laws. The other risk is – if you do not have the skill to carry out a DIY project or have the needed accessories, iPhone 5 US can die. First thing is that, every mobile phone has a SIM card. For iPhone 5 US Version, it is very small. It is basically trimmed around the real circuit, connectors etc. of a standard SIM. Thankfully it was Verizon iPhone 5 US version, so officially it was unlocked. For other carriers, probably a bit experimental work is needed. So there are two simple works – First to take out the Micro SIM from iPhone 5 US version. Push hard into the sim hole and the SIM card holder will pop out. For the iPhone 5 US I did the replacement surgery, it had some glue added. Whether it intentional or just happened, I honestly have no idea. But when the SIM refused to come out, I understood that there can be glue – Apple does apply Glue in various things inside a MacBook Pro, that includes the battery, display panel etc. You have to dissolve it with some solvent very very carefully if the ‘accident’ applicable in your case. Second part is actually easy. 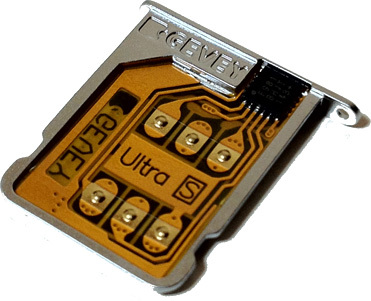 There are numerous kind of third party manufacturers who has a Nano SIM Card Adapter. Some are quite renowned in this field ! I trimmed an Indian cell network phone provider’s SIM myself, but there is SIM card trimmer available too to make the work very easy. iPhone 5 (or any iPhone) runs unix based iOS, so the other thing if creates problem is very easy to solve. There is no support from my side for making any iPhone 5 US Version working in this way for you. I do not have any further plan to write guides tutorials, videos etc. on making iPhone 5 US Version working. The person’s need was legit, doing the work for his iPhone 5 US Version appeared to me fully morally right. This Article Has Been Shared 9567 Times! Cite this article as: Abhishek Ghosh, "iPhone 5 US Version and Making Any SIM Working," in The Customize Windows, December 4, 2012, April 25, 2019, https://thecustomizewindows.com/2012/12/iphone-5-us-version-and-making-any-sim-working/.